Taste the local and the love in this Peach and Apricot Pinot Noir Barrel-Fermented Sour. It’s our 7th birthday coming up on July 1st, which calls for a big party, a BBQ with all the fixins’, and, of course, four – if not five- new beers! It’s my job (and a tough job, I might add :), to write up each of these beers so you guys know what’s coming. First up is our Peach & Apricot Pinot Noir Barrel-Fermented Sour: this hazy, golden-colored, barrel-fermented sour is finished with peaches and apricots and packed with layers of flavor – stone fruit (peach, apricot, nectarine) up front, with a well-balanced tartness in the middle, and a slight dry oakiness from the barrel at the end. Usually our team helps me write the tasting notes for the beer, so I asked my co-founder Annette what she thought of this brand new beer. I got a very enthusiastic, “It’s Delicious! I love it!” as she ran out the door for a meeting. Ha. Thanks, Annette! – Taste & Mouthfeel: Take a sip and you get a big punch of stone fruit up front (peach, apricot, nectarine), followed by a moderate tartness, with a dry, oaky, and subtle earthy finish. We love beers like this with multiple layers of flavor going on. Once you take a sip you will definitely want to take another and another! – Pairing: Try this beer with a fresh, light salad and fruity & custardy desserts. It would also go really well with our fish tacos, shrimp tacos with guacamole, and buttery cheeses. Although, we can imagine drinking a lot of this as is in our beer garden, sipping on it while watching the sunset. – Serving glass: We’ll be serving this beer in a 12-oz glass here at the Brewery, which should enhance this beer’s lovely fruity aroma. – Stats – ABV 5.3% and 5 IBU. Lucky Sevens Double IPA – featuring seven types of grains, seven varieties of hops, and weighing in at 7.77% ABV! Sancho (Panza) – we are releasing a sidekick to our Donkey-Hoté double IPA. 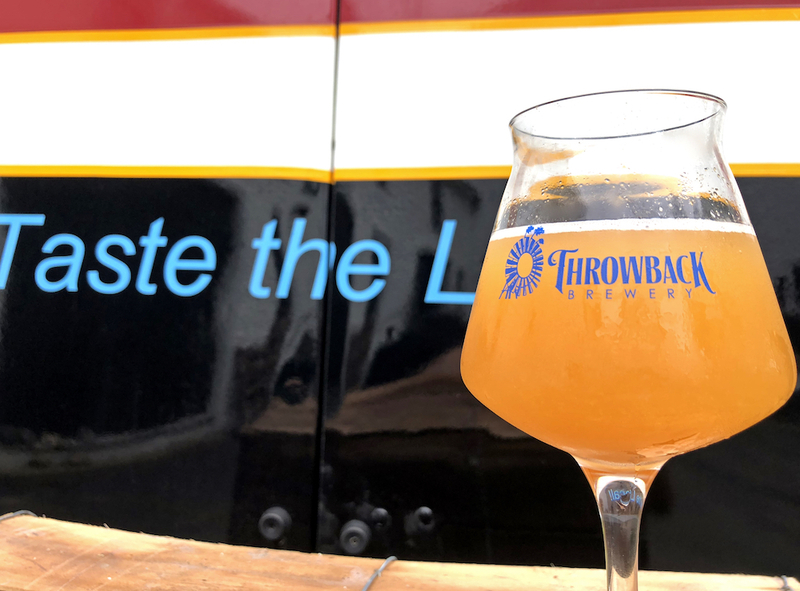 This beautifully hazy, golden-colored 6.1% ABV New England IPA is brewed with Eureka, Citra, Amarillo, & Galaxy hops, and it’s getting high early praise from our team! Plus, if the beer gods are smiling on us, our Watta Melon Blonde Ale should be finished and released on July 1st! As always, this will be light and refreshing, and will make you feel like you are at a perfect summer picnic. Stay tuned over the next few days for more details on the above beers. And, we hope you can join us for our 7th birthday on July 1st! Pilsen malt by Valley Malt in Hadley, MA.